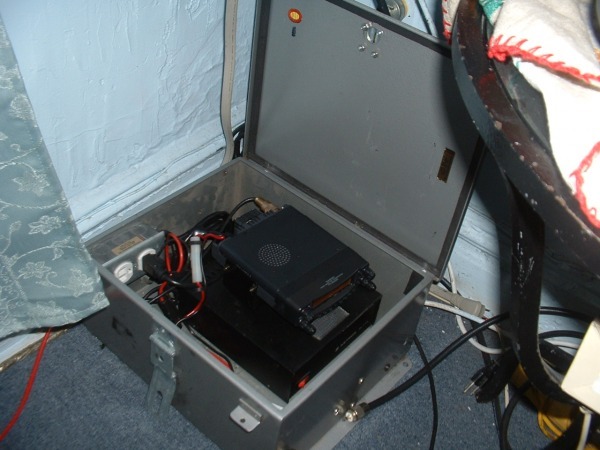 KB2NGU 2m/440 crossband link located in Brooklyn. 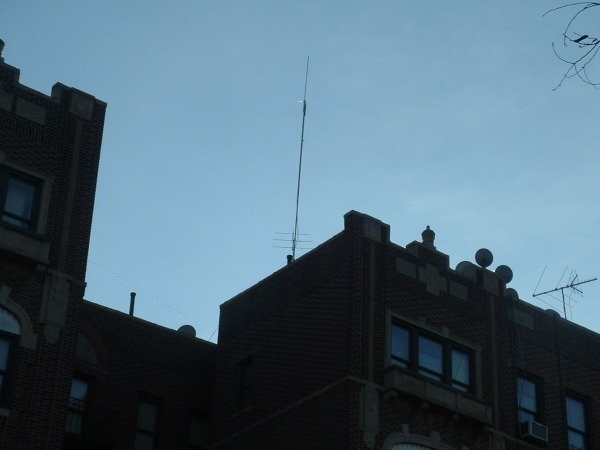 This crossband link connects the Bronx 440 repeater to the Brooklyn, 2 meter repeater. 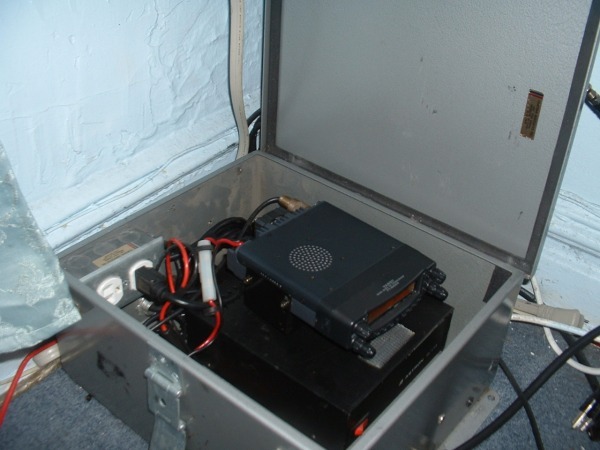 And we are using a yaesu ft 8800 which is picture above in metal cabinet with power supply. 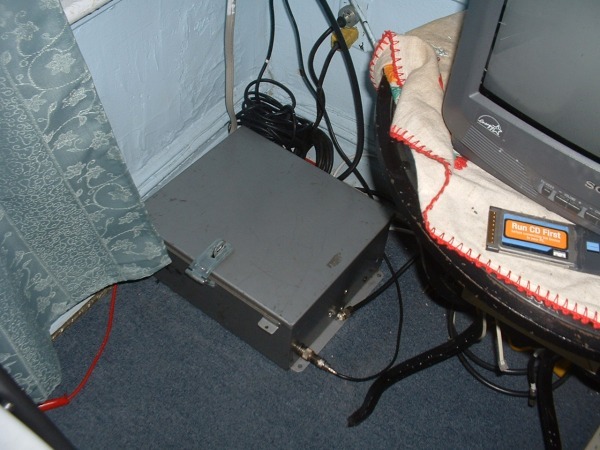 Metal cabinet with lid closed and connected to antenna cable. 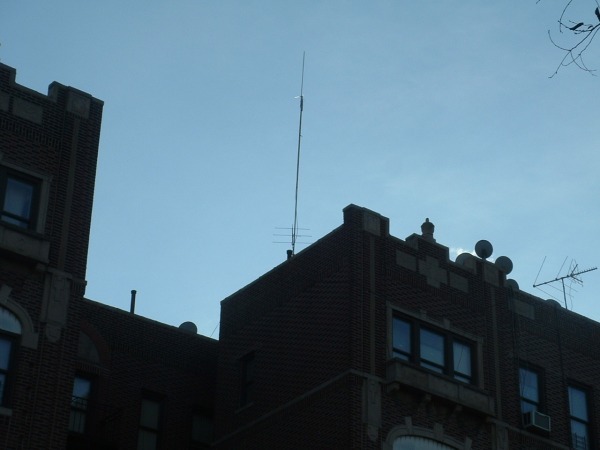 6 story building where crossband link is located. View of antenna site for crossband link. As you can see there is an Arrow satellite beam on lower portion of mast which is used to link the 2 meter repeater to the 440 repeater via RF.